Mature trees and large lots are available in this beautiful family neighborhood. Luxurious homes are lined throughout this wonderful community in Port Orange. Some estates are located on the Spruce Creek and this enables boaters to have quick access the Ponce Inlet. 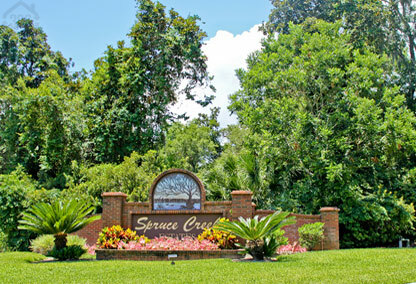 Spruce Creek Estates is located in a quiet location at the end of Spruce Creek Road and is a refreshing place to call home. Call us at (386) 527-8577 for more information about this Port Orange neighborhood or any others. Spruce Creek Estates is located close to shopping, the beach, parks, the Halifax River, and only a short drive to the Orlando Parks. This is a very convenient location. Schools in this area include Spruce Creek Elementary and Spruce Creek High School.